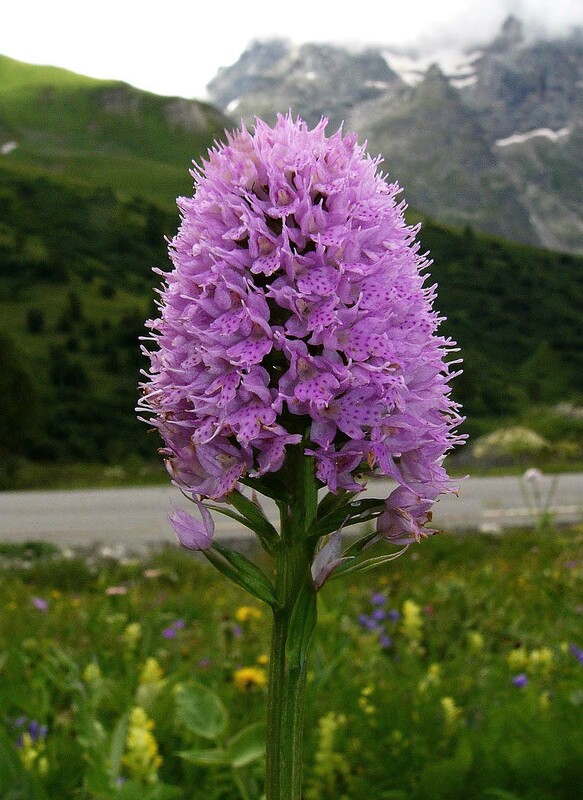 In Europe this genus is represented by just two species, the most familiar of which is T. globosa, a distinctive orchid once included in the Orchis group. Molecular sequencing subsequently determined that it should be reclassified and the genus Traunsteinera was duly created. This is an isolated genus whose closest relationship is with the morphologically dissimilar but fellow mountain dwelling genus Chamorchis. The second species within Traunsteinera is T. sphaerica which differs from T. globosa mainly in lip shape and the colour of the flower, which is usually a greenish cream. Many taxonomists do not regard this plant as a species in its own right, preferring to consider it as a geographic ecotype within the same species.The leaves do not form a basal rosette, are narrow and arranged up the stem in decreasing size.